The Brentwood StormTank Shield, exclusively distributed by Layfield, is the most cost-effective way to prevent debris and oil discharges in a stormwater system. Greatly reduces the potential for debris and oil discharge. Easy installation thanks to a combination of pre-drilled mounting holes and hand grips. 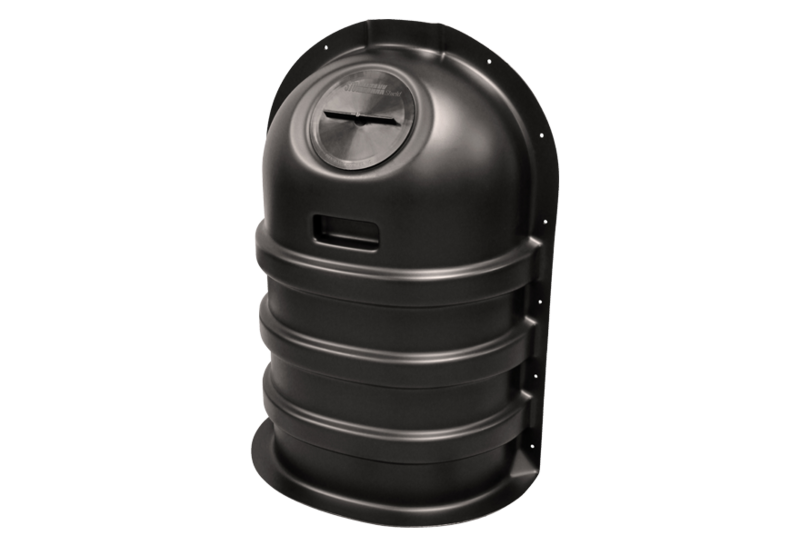 The slim profile and access port of the StormTank Shield make it incredibly easy to clean and ensure that nothing obstructs the discharge. Comes in three sizes, covering up to a 30 inch diameter discharge pipe. The StormTank Shield is a stormwater pre-treatment solution. It's designed to improve sumped inlet treatment and it reduces pollutant discharge by filtering out sediment and separating oil and water. It's also a cost-efficient solution.